You are here: Home » What Are Detox Tea’s Side Effects? What Are Detox Tea’s Side Effects? 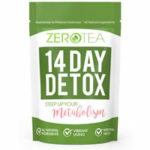 Detox teas are fantastic tools to help shed weight, detox, and cleanse the body. The difference with these teas compared to other weight loss supplements is that they are natural and contain herbal ingredients. Tea itself isn’t new or revolutionary. It’s been safely utilized by millions of people for countless centuries for its amazing health benefits. Many other “diet pills” or weight-loss concoctions are filled with questionable ingredients that usually cause more harm than good. When losing weight, we want to take the utmost precaution and reduce or eliminate any potential negative side effects while maximizing benefits. Thankfully, detox teas as a whole are very safe. They have been part of numerous research studies that show their safety and benefits to individuals. As with so many things in life, though, there are some potential side effects with detox teas that some people may experience. It’s important to be aware of these side effects in order to reduce them or avoid them all together. The main cause for any potential side effects with detox teas usually comes from diuretics, laxatives, or stimulants present in the formula. Let’s break each of these groups down and see what to look out for. Diuretics cause an increase in the production of urine. They do so by promoting the excretion of water and salt from the kidneys, resulting in a higher volume of urine produced. Various teas have natural diuretic properties. The number one way to avoid these side effects is to be certain that you’re drinking plenty of water! Remember that you may need to drink more water than normal since these teas are causing an increase in urination. In a very small number of cases, some individuals have had allergic reactions to dandelion root and burdock. Be sure to avoid these herbs if you’re allergic or sensitive to them. If you’re unsure if you might be allergic, try rubbing a small amount of tea onto your skin or start with a very small cup of tea. Laxatives increase the frequency and size of stool produced by irritating the colon and stimulating the intestinal muscles to contract. They also can deplete the body of water by losing excess water during bowel movements. 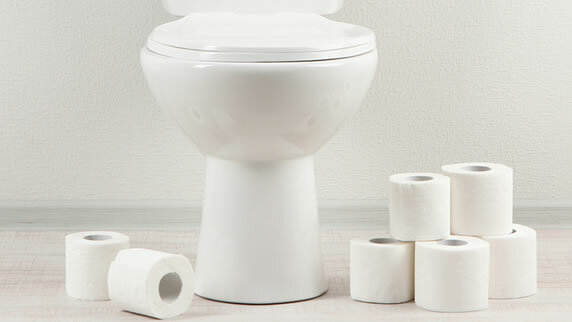 Using or overusing strong laxatives can lead to a dependency on them because your body loses its natural ability to function on its own. Again, drinking water is key to avoiding or reducing these side effects. Aim for 9 – 13 cups of water per day. Also, drinking these laxative teas on an empty stomach may exacerbate the side effects. Avoid harsh laxatives like senna leaf and opt for gentler laxatives. Don’t use laxatives on a daily basis. It’s recommended to take them for only 3 – 7 days, potentially up to 14 days in certain cases. Another common ingredient in detox teas are stimulants. This is because some teas naturally contain caffeine and other stimulants. Caffeine in tea can be a great pick-me-up, natural energy source, and boost weight loss. However, there are some potential side effects to stimulants. Water is the simplest solution and preventative method to make sure you’re looking and feeling healthy while using detox teas. For the average healthy adult, the daily recommended amount of caffeine is 300mg – 400mg. This has been agreed upon as a safe amount to consume per day. If you’re sensitive to caffeine or stimulants, opt for teas with lower amounts, herbal teas, or decaffeinated options. Drink stimulant teas in the morning or early afternoon to avoid any sleep disturbances. Also, drinking these teas on an empty stomach may increase the effects. Cut down on other caffeine sources such as coffee or energy drinks to make sure you stay within the safe recommended daily amount. 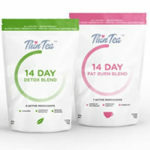 As a whole, detox teas are very safe, natural, and can provide real help for those looking to lose weight and cleanse. Remember that stimulants, diuretics, and laxatives can potentially create side effects in some people. Keep in mind which teas contain these various properties. Avoid or reduce certain ingredients that you’re sensitive to. A lot of these effects can be eliminated or greatly diminished by following a few tips. Water does the body well, so drink up, especially when detoxing. Don’t drink more than the recommended servings, especially if a product contains stimulants. Avoid harsh laxatives like senna leaf and opt for a milder, gentler laxative. If it doesn’t seem to agree with a certain ingredient or tea, then refrain from using it. If you keep these simple tips in mind, you’ll be safely detoxing your way to a healthier, happier body. 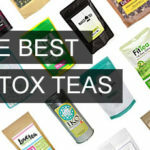 If you need help finding a detox tea with minimal side effects, check out our list of the 10 best detox teas!